eat like a cow: Happy Birthday, Cla! 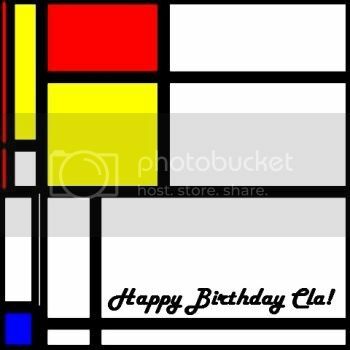 To our big boss Cla: have a hap-'piet mondrian' birthday!! Save us two slices of your overpriced designer gourmet cake okay!! OOHh Happy Bday Cla!!! .... can I have some cake too (00)?! Oh oh... Happy Birthdayyyy !! I just need the pictures of the cake to drool over them. Hehehe... Hope you have a wonderful and magical birthday this year !